Title page - VAN KEULEN, J.
Map maker : VAN KEULEN, J.. Size : 23.2 x 13.5 inches. / 59.0 x 34.3 cm. 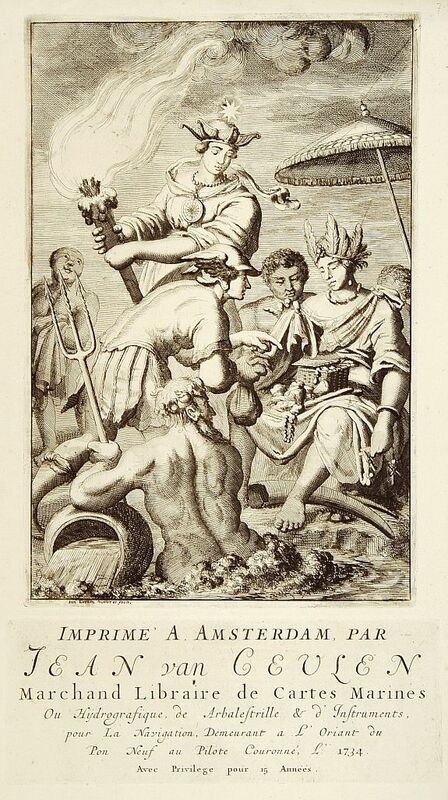 Description :Stunning copper engraving showing Neptune with, Hercules, female representations of the continents. Below the engraving is the advertisement for van Keulen giving his profession and address.